The Clinical Surgery Records was moved from the Curriculum and Lecture Notes Collection (UPW). The Clinical Surgery Records consist of two volumes of manuscript ledgers, kept in their original order. Clinical lectures, or bedside instruction, was part of the Medical School curriculum from its founding. Initially, students attended clinical lectures at Pennsylvania Hospital, with the Philadelphia Almshouse (later known as Blockley Hospital) added in the early nineteenth century. By the 1840s, the medical faculty became concerned that they were unable to control what was being taught at the hospital clinical lectures, and created a committee to look into the Medical School running its own clinic and dispensary. 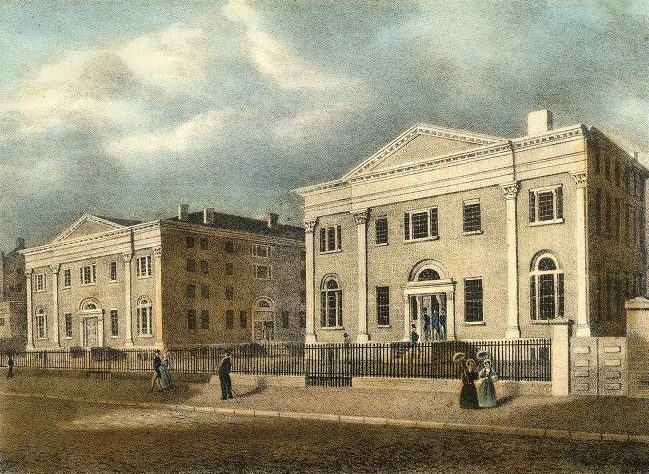 Starting in 1844, the medical faculty opened their own clinic in the medical school, and continued an affiliation with the Medical Institute for students to attend their Locust Street Dispensary. After the 1857-1858 sessions, medical students were no long required to attend clinical lectures at one of the city’s hospitals, with the Medical School the University Dispensary opening in 1858. The University Dispensary would continue to operate until the University moved to West Philadelphia in 1870 and opened the Hospital of the University of Pennsylvania in 1874. The Clinical Surgery Records consists of two manuscript ledgers that record the cases seen by the clinic held on Saturdays (later to include Wednesdays). Entries are chronological and consists of patient information, admitting physician (when relevant), attending physician, symptoms, and treatment. There is no index for either volume. For additional information on the University Dispensary and Clinical Lectures see Medical School Faculty Minutes (UPC 2.1). University of Pennsylvania. School of Medicine. Clinical Practice. University of Pennsylvania. School of Medicine. History of Medicine, 19th Cent.–United States.